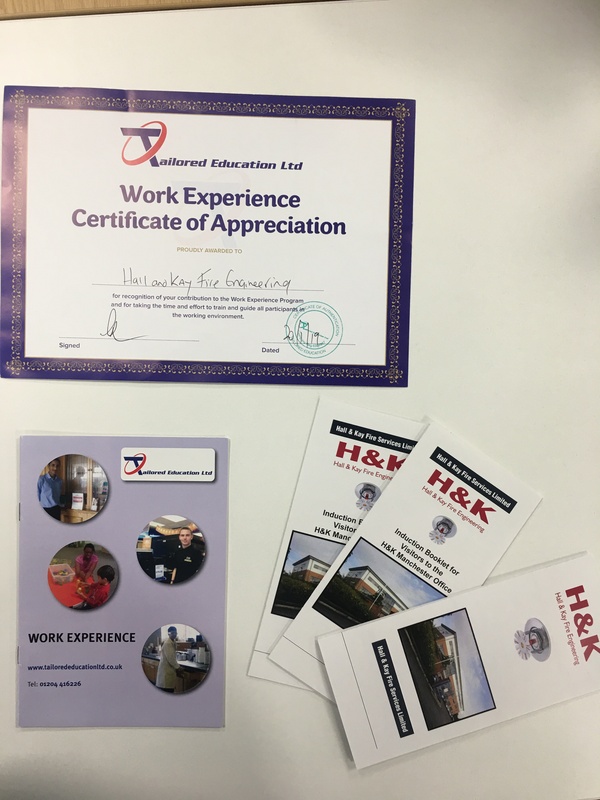 Hall & Kay Fire Engineering with Tailored Engineering Ltd. have organised work experience for a number of Students in May 2019. The students are from a local academy in Manchester and will be taking part in mock interviews and work placement. Hall & Kay Fire Engineering are supporting local education and hopefully inspiring the next generation of engineers! Trust Hall & Kay Fire Engineering a fixed fire protection market leader with all fixed fire protection enquiries – Protecting Lives and Property for over a century!